Just a few days after Xmas 2016, I headed out to Llangorse lake with a colleague to take some early morning shots of the lake, hopefully with the mist and fog set low. It was a location that I wanted to go for some time, but the difficulty was having the right weather conditions and being able to go on that particular day. It was decided late at night, just a few hours before heading out early in the morning, but as any landscape photographer knows that's what is required if you want to get the best from your shots. I am by no means someone who would class themselves as Landscape photographer and if you have come across this blog via my home page of the website then you will see that my main genre is wedding photography. With the wedding season over, I do like to get out and do some landscape photography, well have a go anyway. 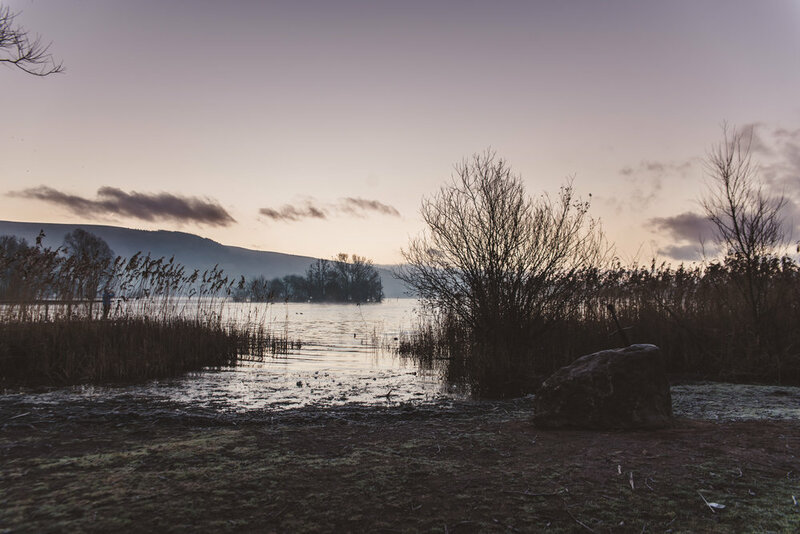 Llangorse Lake, located within the Brecon Beacons national park is the largest natural lake in Wales. With that comes many features from wildlife, boating activities, fishing and nature walks around the lake, including photography opportunities. Arriving just after 6am it was dark and with the temperature at -4 it surely was cold.Before we knew it a few cars and vans started to arrive and it wasn't long before they were getting into the small boats and heading out onto the lake for a days fishing. From the clear skies and misty lake to thick dense fog on the journey home, this could only mean more photo opportunities. This is a stunning location one which I cant'e believe I have never been to before, being so close to home. So glad I went and I hope you enjoy these images. Feel free to comment and like below.